St. Louis publisher debuts line of real life true-to-culture hero and villain comics designed to "Tell the Truth - Tell it Often - Tell the Children™". 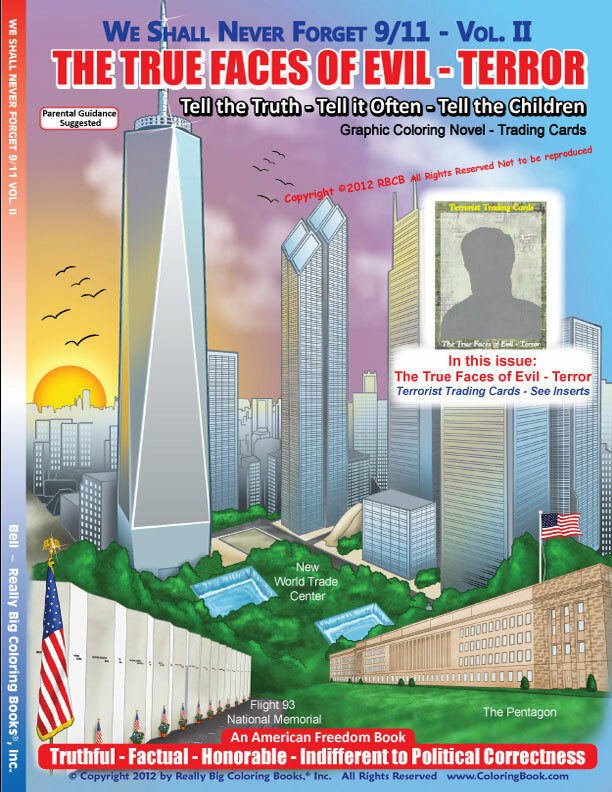 The first comic publication is a supplement designed to help youth learn and understand more about terrorism. Do not mislead my children; kids are smarter than you think...say parents and grandparents. The line of CBC | Coloring Book Comics will feature cultural events, modern topics and biographical data from real life characters. All pages will be based on fact and some pages will include simple parody. The series will engage parents, teachers, educators and children from an honest, direct point of reference that may elicit public response for open discussion. Topics range from fun to serious, say company officials. The CBC product line will not be mistaken for comics of old; ones featuring traditional characters, the modern day promotional pieces that support industry leading programs or corporate products and merchandise. 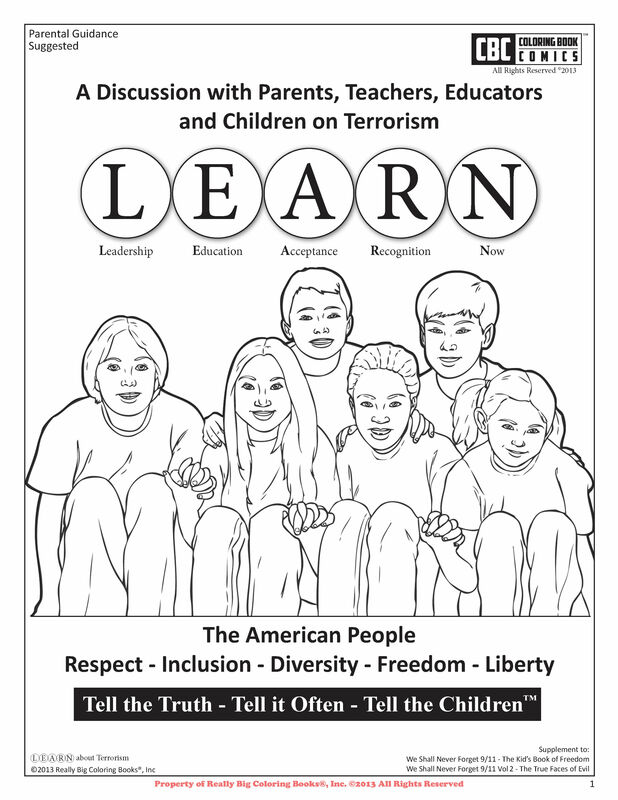 Notable in the 12 page CBC | Coloring Book Comic supplement is the acronym LEARN, which stands for Leadership, Education, Acknowledgement, Recognition, Now. 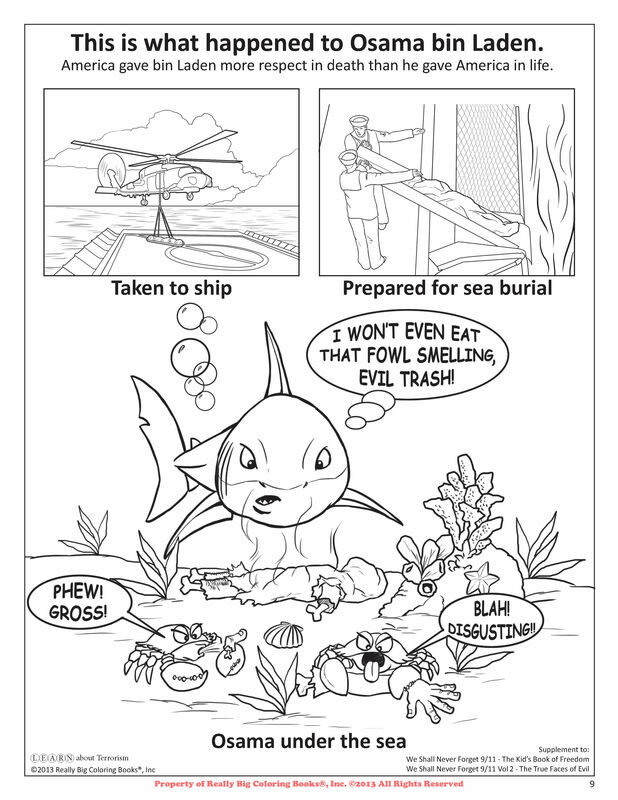 This comic relates to terrorist activity and the pages come with parental guidance suggested to be used as a teaching and learning tool. Also inside parents will find a factual, accurate update on the Benghazi terror attack, parodies of Osama bin Laden, the Boston Bomber cover page and a mini pictorial history of how Americans built the greatest nation in history. Included is an honest and engaging letter of declaration to Imams in America and comics that help children to understand as they read or color. 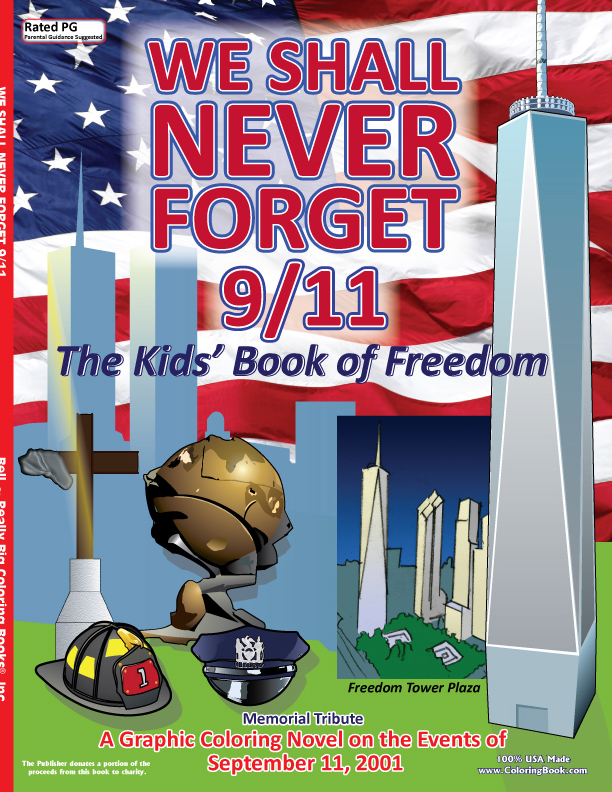 The new publication piece is available with the purchase of either of the previous books on terrorism, the 2011 - We Shall Never Forget 9/11 The Kids Book of Freedom or the 2012 - Vol. II The True Faces of Evil Terror. Each book purchased will include the complimentary CBC supplement "Learn about Terrorism" and both units are released in limited supply. "In regards to our initial comic publication", says Publisher Wayne Bell, "we listened to customer input and decided to cover the subject of terror. With the advent of members in the national media being accused of 'glorifying a young terrorist', our company received a mountain of hostile feedback and comments directed at that topic. People say they only want the truth without influence of personal opinion or hidden agenda. Americans are more than fed up with politically motivated correctness to the point of frustration that quickly turns into disgust, distrust and then anger. 'Do not mislead my children; kids are smarter than you think'. We hear that often, especially from grandparents. People have told our company in essence: Tell the Truth, Tell it Often and Tell the Children". Really Big Coloring Books®, Inc. now debuts, CBC | Coloring Book Comics. 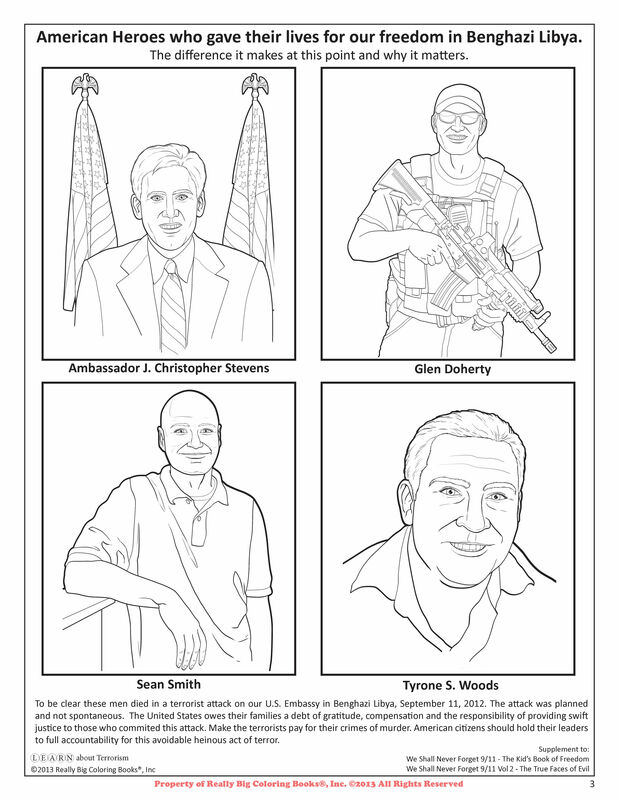 CBC | Coloring Book Comics LEARNColoring Book Comics Osama Under the SeaColoring Book Comic Benghazi Libya Terror Attack We Shall Never Forget 9/11 '"The Kids Book of Freedom" comes with CBC Coloring Book Comic supplement. 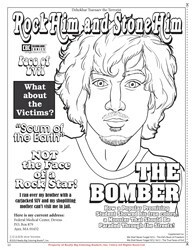 The True Faces of Evil Terror comes with CBC Coloring Book Comic supplement.